Most internet traffic is now encrypted and internal applications also commonly use encryption that is based on Secure Socket Layer (SSL) or Transport Layer Security (TLS) to ensure they are secured. This makes packet analysis using Wireshark more complex than it used to be. This article will clarify what you can and cannot decrypt and what information is still available to you when SSL/TLS traffic cannot be decrypted. 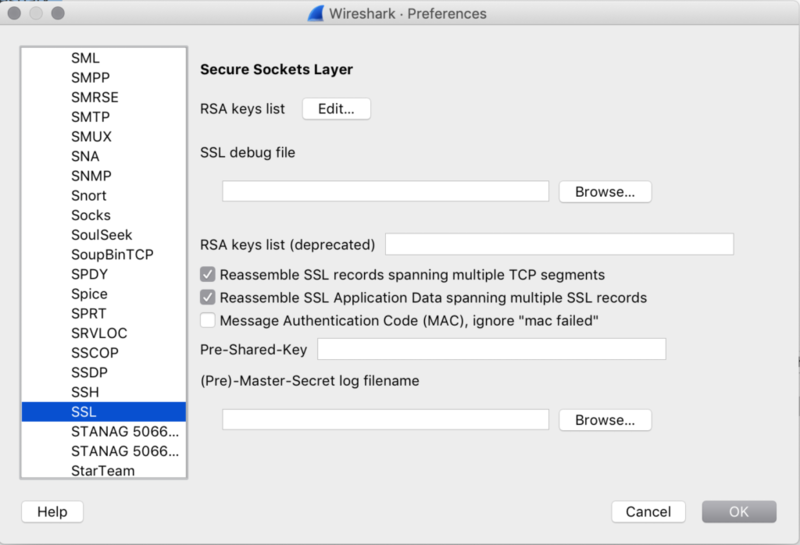 Can you decrypt SSL/TLS traffic with Wireshark? Yes and No. It depends on the version of SSL/TLS used. In some cases, Wireshark will handle it, in other cases it will not. See below for your options. 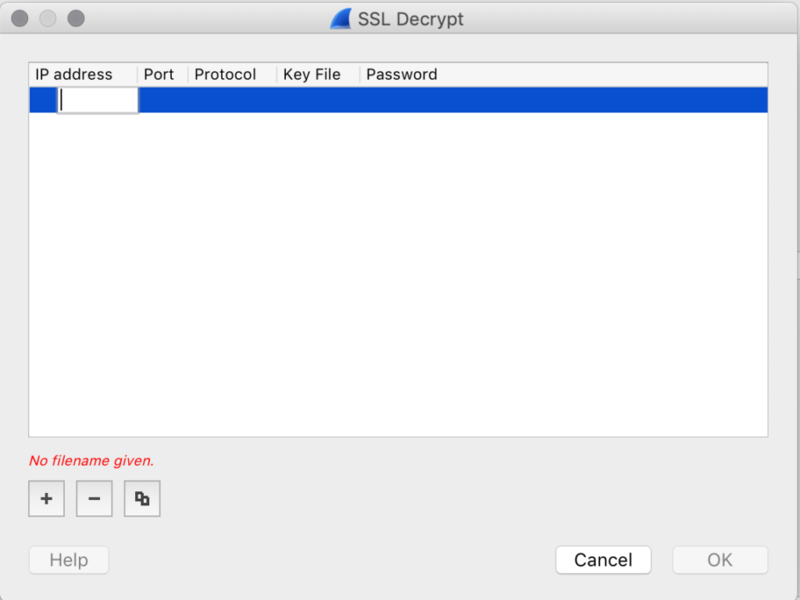 How-to decrypt the SSL/TLS session with Wireshark? Some TLS versions will allow you to decrypt the session using the server private key. Load the private key into Wireshark in PEM/PKCS format. For a more detailed procedure, please refer to this page on Wireshark: http://wiki.wireshark.org . Does it work for all TLS communications? No ! These have been engineered to prevent man-in-the-middle type of attacks, meaning it will never be possible to decode HTTPS traffic by passively getting a copy of it. So, does it apply to Wireshark only? No. All analysis devices based on passive traffic analysis will face the same limitations. Unless you are ready to change your infrastructure or change your capture point, there is no workaround. On the other hand, if some devices on your network break/proxy the SSL sessions and you would like visibility, you have a chance to view this traffic in the clear. These devices can be proxies or load balancers for applications you host. Does no decryption mean I have no visibility? Most of the TLS protocol information is also readable, at least for now. What can I see at TCP level? Ethernet layer: MAC addresses, VLAN, etc. TCP : all TCP windows, flags, etc. In the end, even if these cannot be related back to a precise request to the server (for example, an application transaction, like a GET), the overall network conditions and end- user response time can be evaluated at Layer 3/4. What information can I collect from the TLS data? The who, what, and how to classify TLS traffic. The certificate name and the SNI will be very useful to identify the nature of the service which is encrypted. It can help you understand to which Internet traffic or SaaS this flow corresponds. In conclusion, packet analysis using Wireshark is more complex than it used to be. It’s important to know what you can and cannot decrypt and what information is still available to you when SSL/TLS traffic cannot be decrypted. If you missed the first blog in the series, get caught up here. Stay tuned for the third and final blog in the series. In the meantime, launch our demo to learn more!